For over five decades New Zealand Fine Prints has been making it easy for New Zealanders to buy art prints, posters & limited editions from their favourite artists from NZ & around the world. We've delivered over 1 million prints throughout NZ & worldwide since 1966. All purchases backed by our no risk money back guarantee. 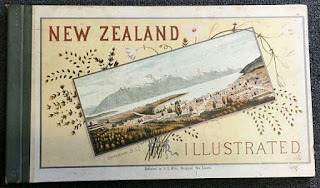 On page 79 of Early Prints of New Zealand this advertisement for "A series of Landscapes, Scenes and Portraits, Illustrative of the Islands of New Zealand and their Native inhabitants" is reproduced. "Just to let you know that our Mickey to Tiki (Reversed) print arrived in Singapore a week or so ago. We finally took it out of the packaging today (didn't want to dirty it prior) at a framers and we were over the moon with the quality of the print and how safely it arrived. Many thanks for the easy process and we will certainly be making future purchases through NZ Fine Prints Ltd."
"Over the past many many years I have built up great relationships with people and businesses around New Zealand. Have a look and support please, Antony and his team have a vast range of prints for you at prints.co.nz." "I just wanted to say thank you so much for giving us a great deal with the print and getting it to us on time. You saved us a lot of running about and some money!" "Nice to be directed to somewhere reputable." "Apologies for my original error. I’m really thankful that NZ Post returned it, also, your re sending it back to Wellington. Have a great weekend." "Georgina has been absolutely fantastic with the service she has provided regarding a canvas print I bought for my boyfriend for Christmas. Shipping was also excellent with the package arriving on time and well packed. I’ve been telling people how great the service is with you guys and they agreed that it was pretty excellent. Wishing you all the best and many thanks again."